The only waffles I ever knew growing up were of the frozen variety. A waffle iron, what's that? It was my other half , Justin that convinced me I needed a waffle iron in my life. Let me tell you, he was so right, I had no idea what I was missing out on all those years. There's just something about making your own waffles that is super satisfying. The best part about making waffles at home is deciding what's going in the batter. 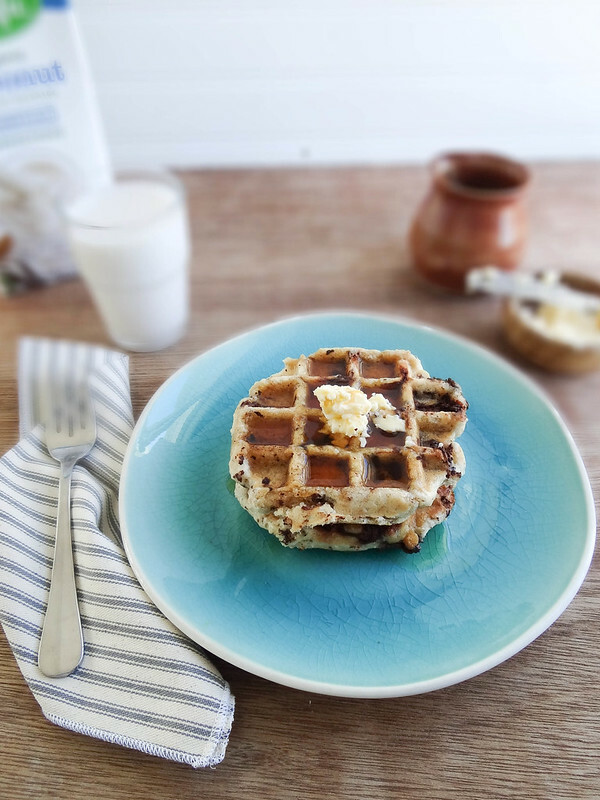 When I received my Pacific Foods Coconut Milk I absolutely knew I had to make something with chocolate (I mean coconut + chocolate together is heaven), chocolate and coconut in waffle form, now that's a winner! 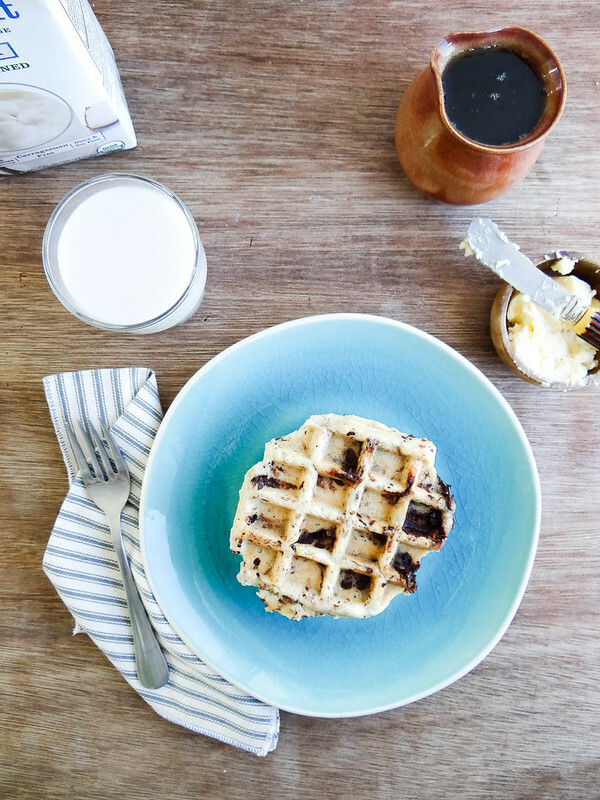 Homemade waffles are just as easy to throw together as homemade pancakes. If you don't have a waffle iron you can just as easily use these same flavors in your favorite pancake recipe. 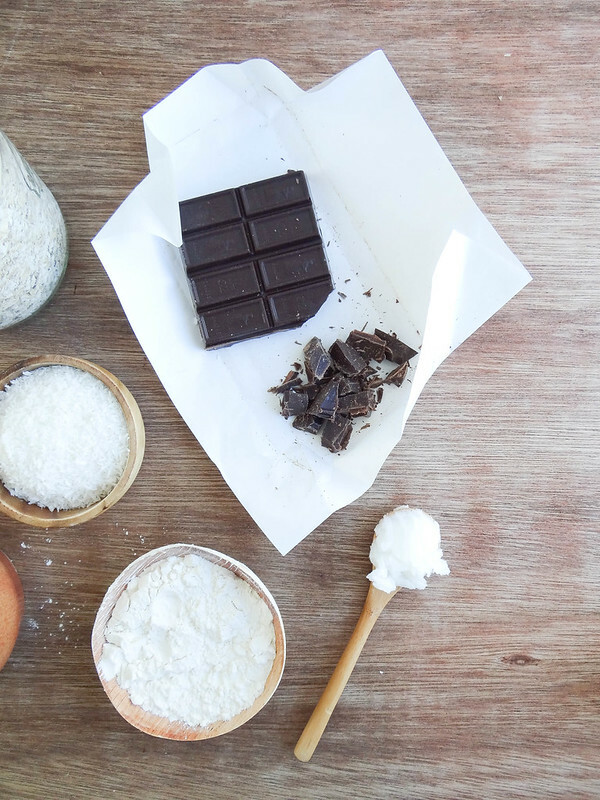 Pacific Foods Organic Vanilla Coconut Milk worked beautifully in this recipe. 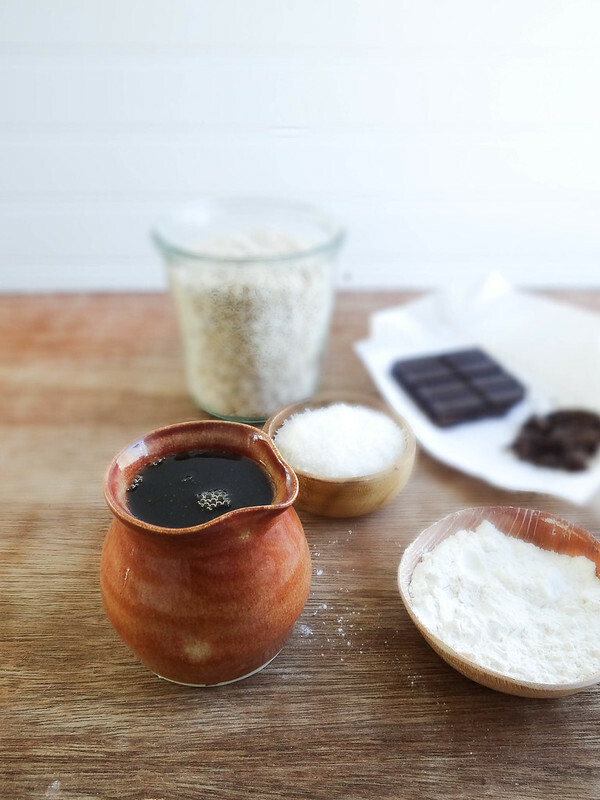 Pacific Foods has always been a brand we use often at home, the soups are my go to for a quick lunch at work and one of my favorite non dairy milks for baking is their oat milk. 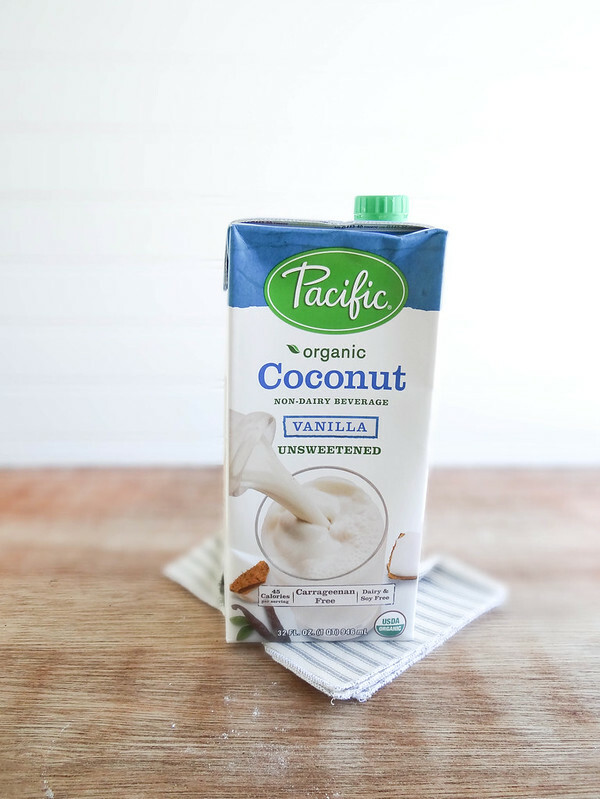 The Coconut from Pacific Foods is not only Carrageenan Free, but also Vegan, Gluten Free, Soy Free, Corn Free, Wheat Free + Yeast Free. 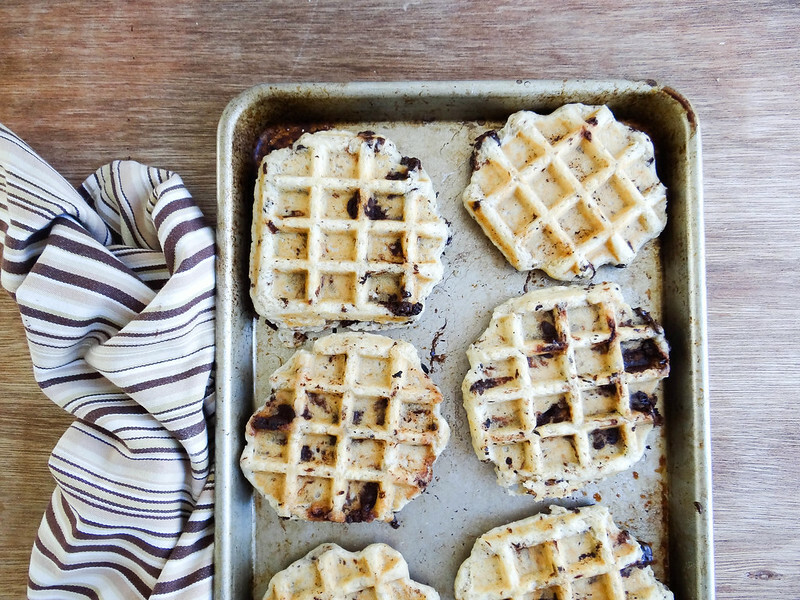 If you are making these for one and trying to figure out it you should invite a friend over or devour all 8 waffles, no worries, these waffle freeze beautifully and can be reheated in your toaster or toaster oven. Pure Maple Syrup is a must with these waffles - I prefer Grade B for it deeper and more complex taste. 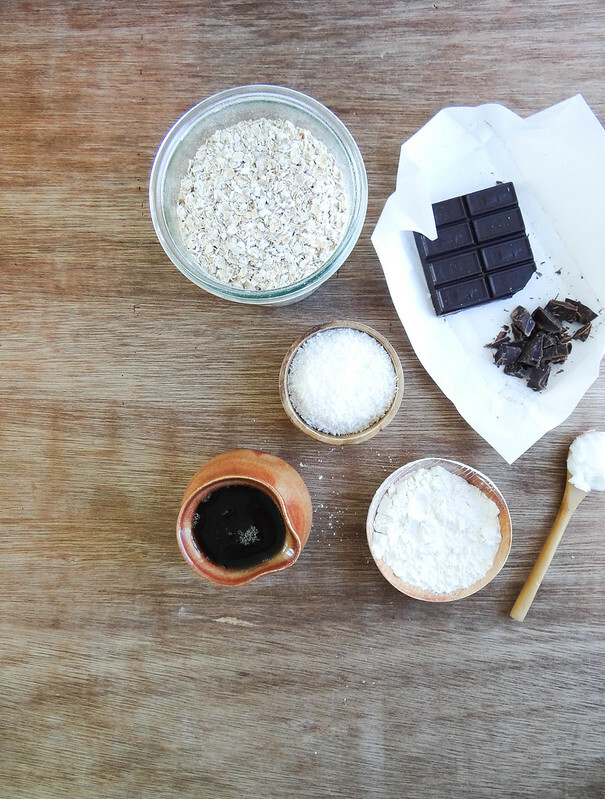 In a medium mixing bowl combine oats, flour, baking powder, salt coconut + chocolate chips. In another small bowl whisk together Pacific Foods Vanilla Coconut Milk , melted coconut oil, vanilla extract + maple syrup. Pour the wet into the dry and mix with a rubber spatula until just mixed, lumpy is okay. Spray top + bottom of waffle iron / waffle grids with cooking spray. 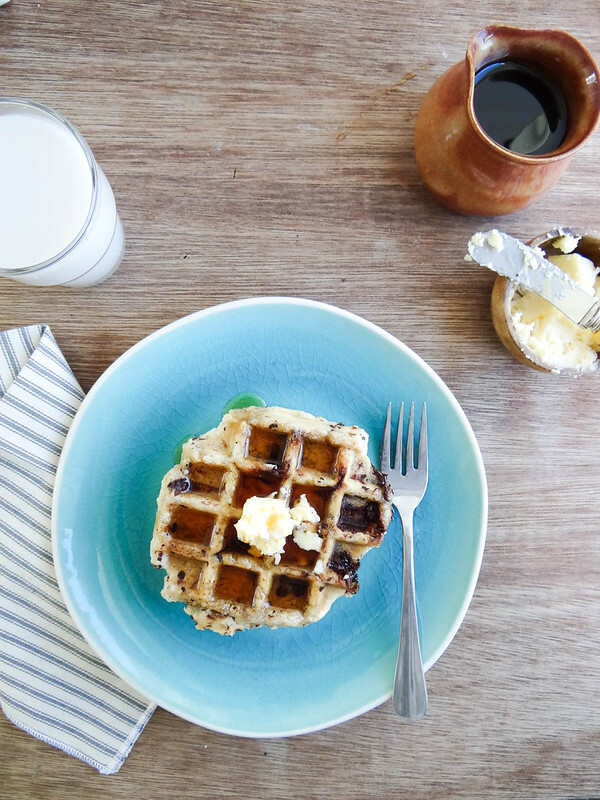 Pour 1/3 cup of waffle batter into each "well" / grid of your waffle iron (mine cooks up 2 waffles at a time- you may need to use 2/3 cup depending on your personal waffle iron. Close + cook, cook time is about 4-5 minutes, however each waffle iron varies. 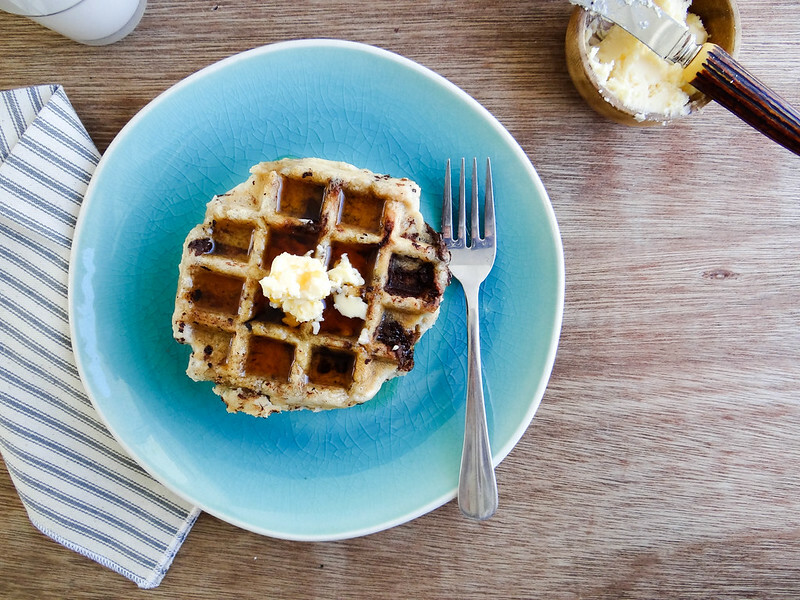 Remove Waffles + repeat until all batter is used. 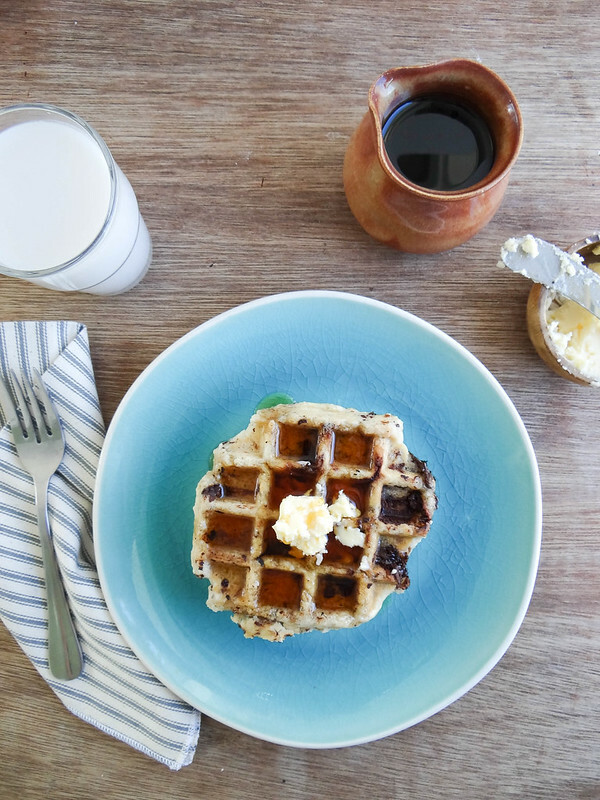 Leftover waffles can be reheated in toaster oven. Can I come over for brunch? ;) That looks delicious and healthy! Simply gorgeous photos Heather! Thanks for the inspiration - I plan on whipping these up first thing tomorrow before I set off to work in the bakeshop. I also grew up on frozen waffles and now I can't imagine how I did! These look so scrummy! I know full well that we need a waffle maker in our lives- but they take up so much space! Oh my! My son is going to be SO excited about these!!! Great recipe!! I think that this site contains such recipes too. And even more!